A cascade of hearts for your Desktop. Is there a better alternative to Falling Hearts? 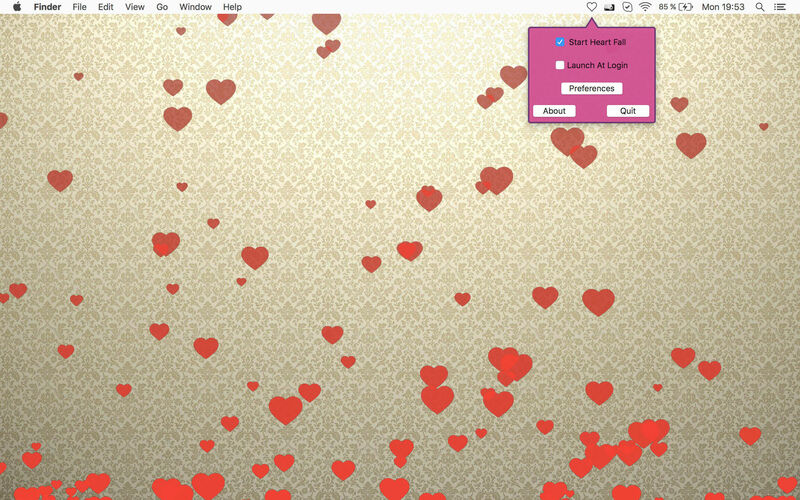 Is Falling Hearts really the best app in Desktop category? 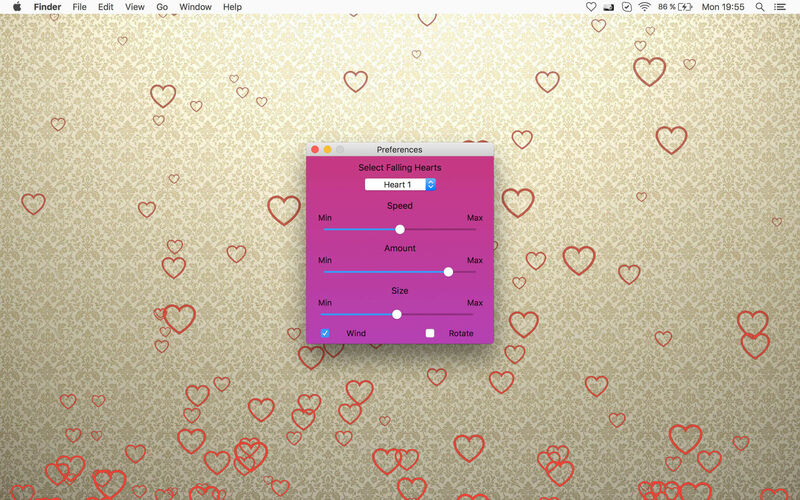 Will Falling Hearts work good on macOS 10.13.4? Falling Hearts reminds us that an incurable romantic once rightly noted: "A hundred hearts will be too few to carry all my love for you." We created Falling Hearts with thousands, billions, and trillions of hearts that will express the overwhelming love you are floating in this Valentine's Day! 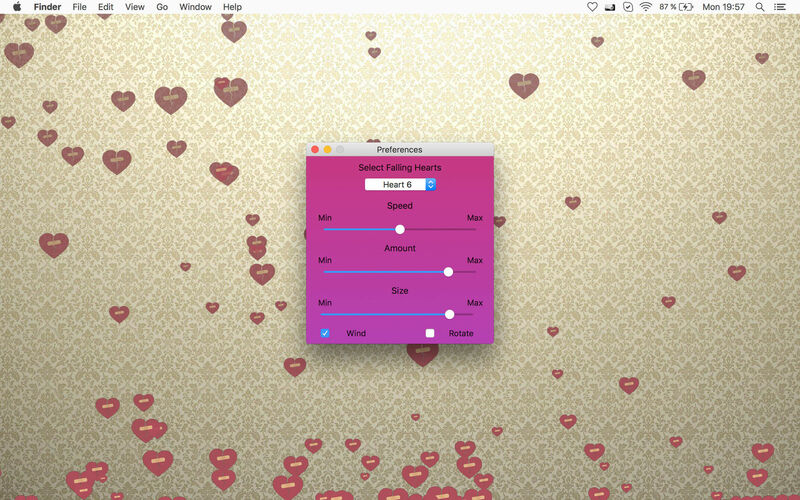 It is a small app which lives in your menu bar and creates a beautiful heart-fall on your screen. Get ready to spread the love! Falling Hearts needs a review. Be the first to review this app and get the discussion started! Falling Hearts needs a rating. Be the first to rate this app and get the discussion started!